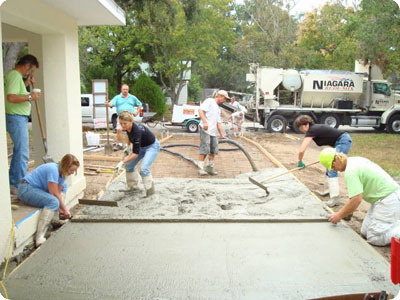 Homeless & housing; religion; women: "In partnership with our community, putting faith into action, Pinellas Habitat for Humanity promotes family stability by providing innovative and affordable housing solutions to qualifying individuals and families." The website lists opportunities for volunteers. Keep Pinellas Beautiful is an attempt to keep our county clean and beautiful. Volunteer and adoption programs are available. Scheduled cleanups include roadsides, coastal areas, inland lakes and rivers. The website lists opportunities for volunteers. Tampa Bay was designated an "estuary of national significance" by Congress in 1990, paving the way for development of a long-term blueprint for bay restoration through the Tampa Bay National Estuary Program. Tampa Bay is one of 28 estuaries in the National program. Partnership between Hillsborough, Manatee, and Pinellas counties; the cities of Tampa, St. Petersburg, Clearwater; the Southwest Florida Water Management District; Florida Department of Enviornmental Protection; and the US Environmental Protection Agency. The website lists opportunities for volunteers. Tampa Bay Watch is a 501(c)(3) nonprofit stewardship program dedicated exclusively to the charitable and scientific purpose of protecting and restoring the marine and wetland environments of the Tampa Bay estuary. The website lists opportunities for volunteers.